This was an icon created by Coyotyee for my story based back when it was in Act 1. 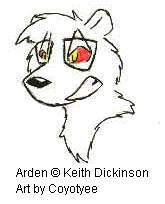 This is Arden when he had the dragon's eyes. 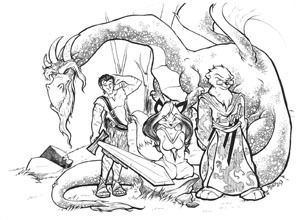 A picture of Zig Zag, Arden and Sheila from Act I by Kyrin. 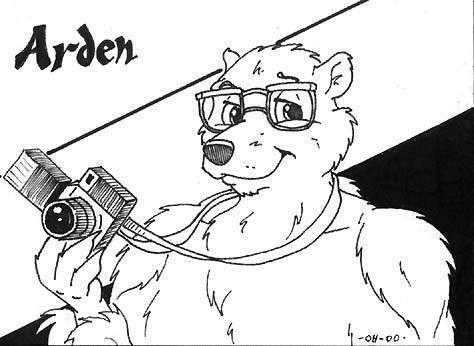 My con badge for MFF as drawn by The March Hare. 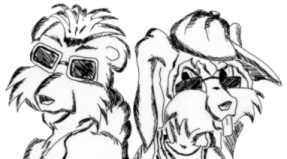 A group picture by Martin Pedersen including his character Michael, the detective from the latter half of the story. 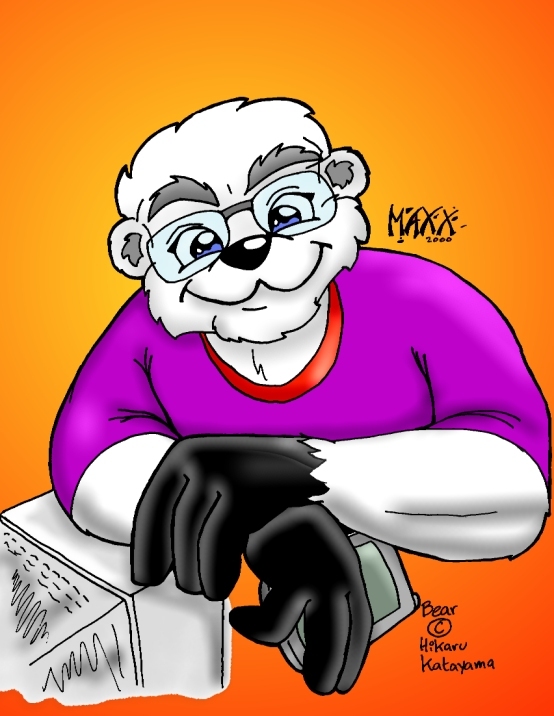 Arden from Yin's universe as drawn by Maxx Cellis! 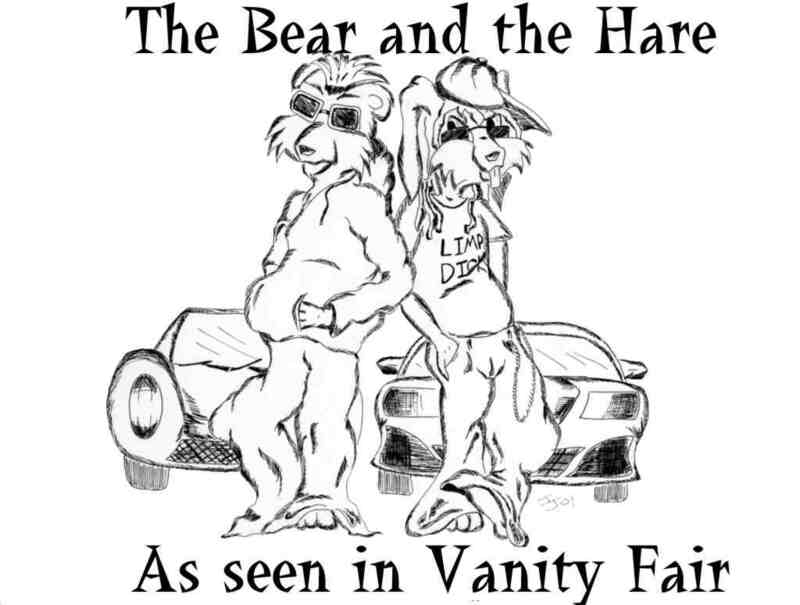 This is a picture drawn by my "Side Kick" RC Rabbits foot based on our appearig in the March Vanity Fair. If you pick up a copy, the article starts on page 74. Note, this is one of the most skewed pieces of work I've seen in a long time. Don't take it too seriously. Mary Minch (aka Mary the Mouse at Mice Comics drew this comission for me showing the four faces of Arden. If you don't understand the reference, then make sure you're at least to chapter 20 in Act III and you will get it. 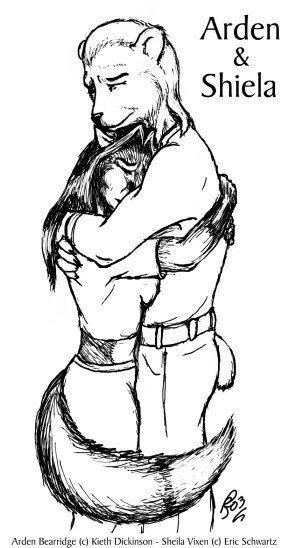 A great picture by Cirrel based on Arden & Sheila in Act I. A	close	up	study of Arden's eye at the end of Chapter 8 in Act 2. "Crying softly, I felt the darkness nibbling away at my mind until it swallowed me whole. " Cirrel's take on Zig Zag at the beginning of Chapter 3 in Act 4 when she's in her Jaccuzi. 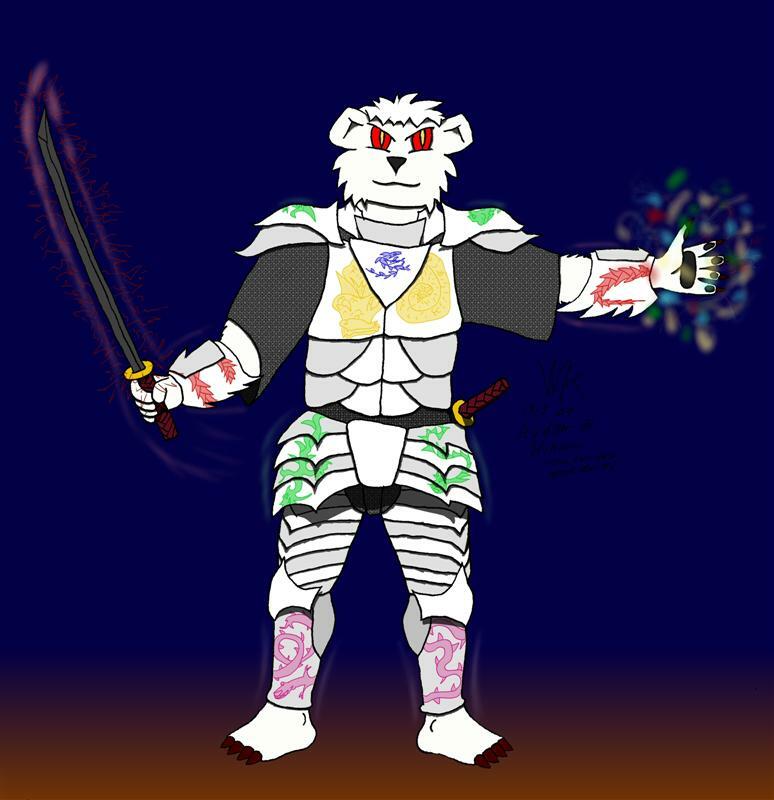 Here's a picture Webkilla did of Arden with his own idea of what "Dragon Armor" would look like. This is from Act IV Chapter 6 where Logan's interviewing Zig Zag. Needless to say, she doesn't look happy. This is another picture from Act IV Chapter 6 where Zig Zag is describing the death of her father. The view Anatol got when he entered Sheila's hospital room and saw her looking out the window. 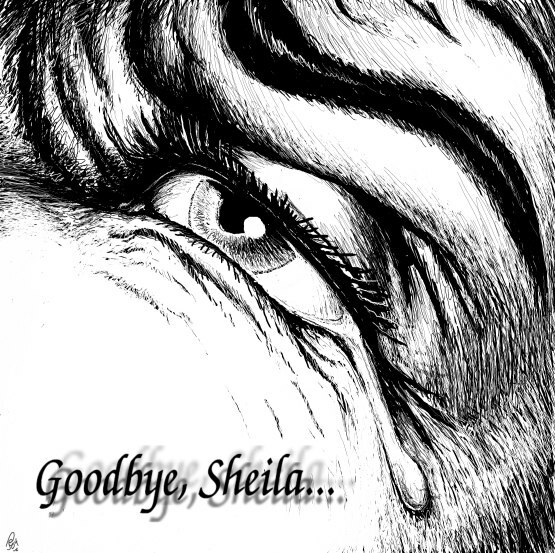 A picture that Cirrel did of Sheila in the hopes of motivating me to write some more chapters.